The number of foreigners working as permanent employees within Mie prefecture is on the rise. What kinds of companies do foreign employees work at? What kinds of initiatives are companies using to help foreign employees take on an active role? Kuwana City Medical Center just completed construction of a new ward in April 2018 and has been outfitted with the latest medical equipment. When all the wards are completed in December, there will be 400 beds in total. Many residents of Kuwana in northern Mie are from foreign countries. Because of this, the hospital has had medical interpreters on hand since 2014. Medical interpreters not only help foreigners in terms of language ​​but also facilitate the medical care process on site. Carla Cardenas has been working at the medical center since they started offering medical interpretation there. She is able to quickly and accurately interpret the specialized Japanese used by doctors which is full of difficult lingo and terminology. We were able to interview Carla in one of the rooms specifically used for medical interpretation. It has been 22 years since I came to Japan as a “dekasegi” (a migrant worker of Japanese descent or their spouse) from Peru. Initially I could not speak Japanese. I only knew words like “sumo” and “kimono”. I gave birth to my first child in Japan and it was scary being hooked up to an IV without know what was going on. Still, in order for my child to be able to stay in a safe place like Japan, I began attending a Japanese language school. I think that by learning Japanese, many more possibilities have opened up for me. Working as a medical interpreter is one of them. Currently, I interpret in Spanish and Portuguese most of the time but in special cases I will also interpret in English. Interpretation occurs at various stages such as during consultation, examination, admission, and surgery. We get calls from all around the hospital so it is busy every day. Medical interpretation is more than just replacing words. Special care must be taken in order to improve communication between people of different cultures. For example, a Japanese doctor will confirm whether a pregnant woman intends to keep the child or not but this is a very shocking question for a Peruvian who has already assumed they will be keeping the child. I explain these cultural differences to both the patients and doctors beforehand so that they are mentally prepared. I am treated very well by the other staff now but medical interpretation is a new line of work here and it took a lot of perseverance to build relationships with everyone. One time, a patient suddenly gave their doctor a Peruvian-style hug of gratitude. That doctor is usually very serious but they were actually delighted about the hug. The doctor and I were able to bond over this incident (laughs). Also, some patients hold themselves back in front of the doctor but they let it all out at the interpreter and that’s difficult to handle. Still, I’m glad to do this work and hearing the “thank you” from the patients makes the job feel worthwhile. Ms. Kim Choyeon and Ms. Qing Dagan, international students attending universities in Mie Prefecture, and their assistants for this assignment, Mr. Matsubara Atsushi and Ms. Shirato Masami, conducted interviews at Kuwana City Medical Center. A report meeting is also scheduled. This project was produced with a subsidy from the CLAIR (Council of Local Authorities for International Relations). 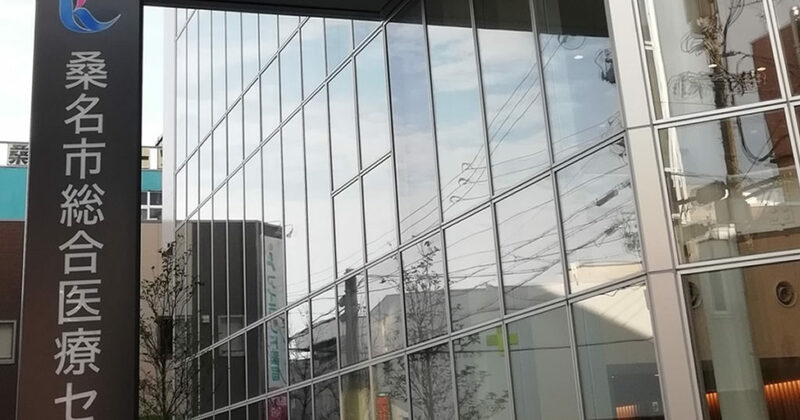 Mie Prefecture Official's Business Explanatory Meeting Companies in which foreigners are active➃ Japan Material Co., Ltd./JM Engineering Service Co., Ltd.